I'm a huge fungus fan and amateur mycologist. The rainy season is just beginning to pick up in the South Bay (CA) and, as my favorite rainy saying goes, "when it rains, it spores!" I haven't gone foraging yet, but I will soon be crawling around the Santa Cruz mountains in early foggy mornings. I've had mushrooms on the brain, and have been spending too much time on etsy looking at fungi-fied things, so I thought I would share some of my finds with those of you that are as excited as I am to forage. 1. 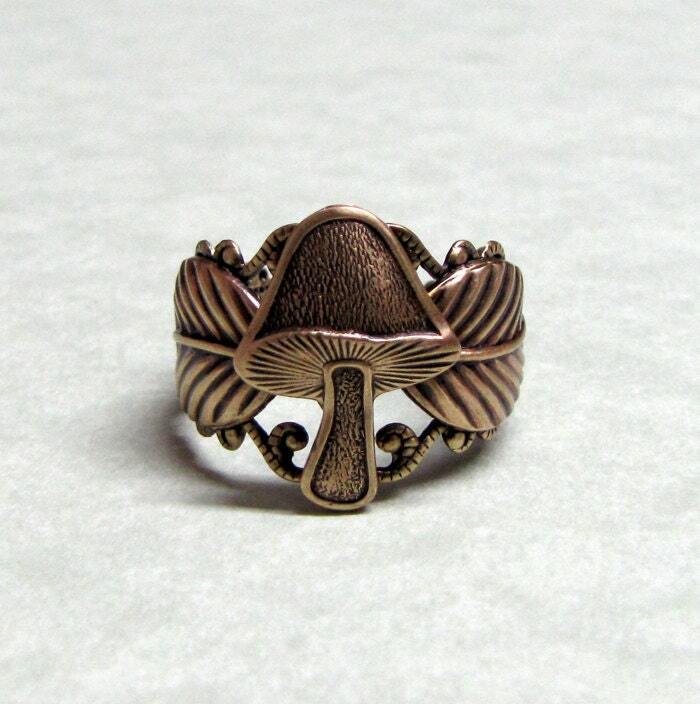 Woodland Forest Wild Mushroom Ring by ranaway Mushroom ring. Need I say more? 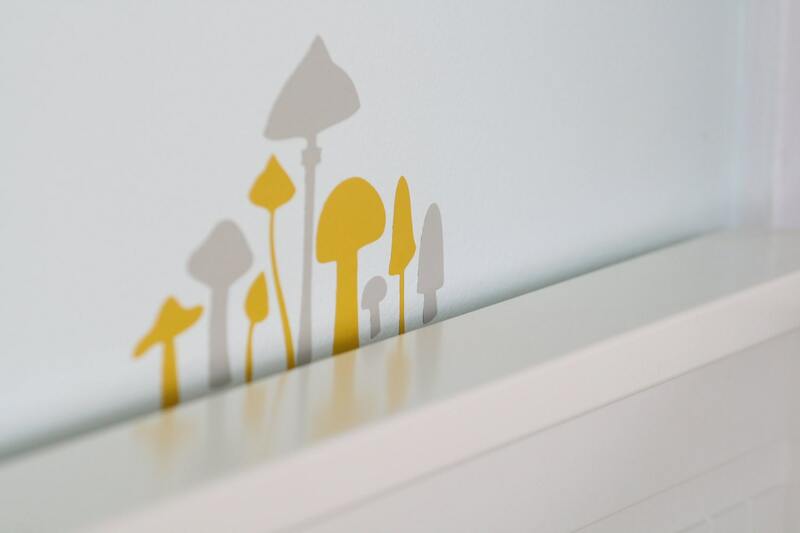 I would love to have little shroomies decorating my walls! 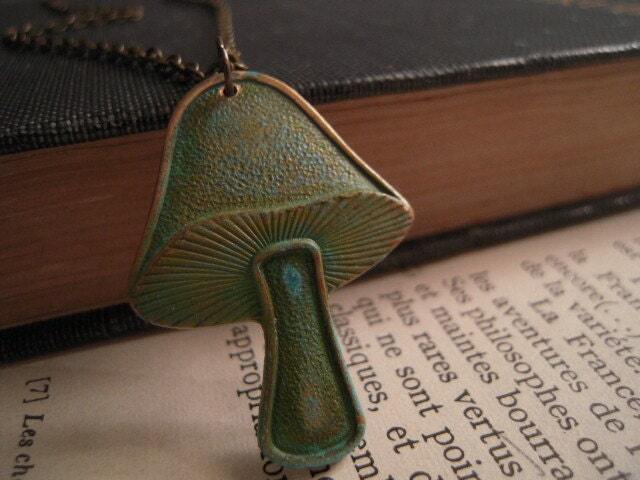 This is pretty classy fungus. 4. 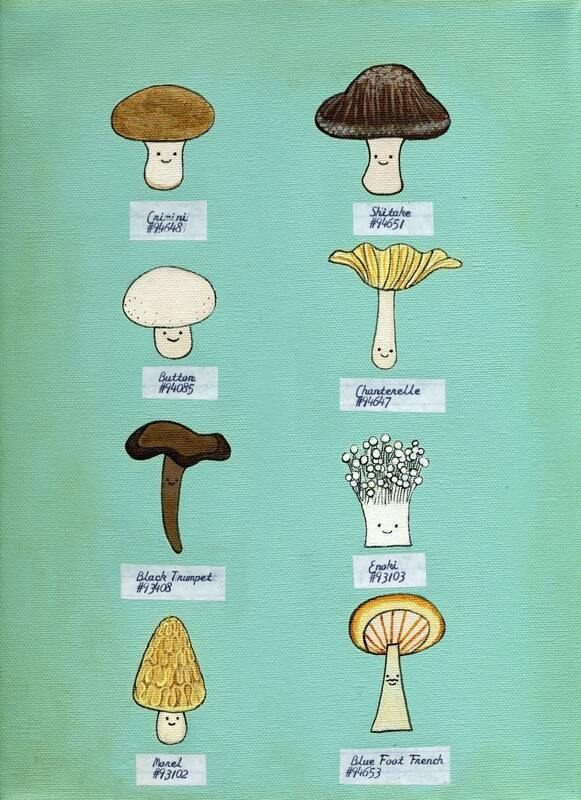 Organic Mushrooms print by bishopart Too cute! And they're all edible and labeled. I'm really excited to start taking photos of mushrooms. I have lots of notes last year for ideas that I never got to do because I didn't have enough time to forage. This year I'm going to make the time. Do you forage for mushrooms or something else like herbs, fruits, and veggies?